The difference between a conventional voyage and a light-adventure voyage comes down to a simple question: Are there docks where you’re going? If the answer is no, congratulations! You’ve booked a light-adventure sail. And you’ll want to invest in a pair of waders, or at least a sturdy, funk-resistant pair of Tevas. You will reach the highlights of the trip by leaving your luxurious ship behind, clambering into an inflatable tender to cruise local waters or pull as far up onto a beach as the pilot-guide can manage and disembark as the waves lap your feet. It’s not always comfortable, but it’s certainly memorable, and it’s the only way you can explore some of the best places on earth. Strictly speaking, the North Pole isn’t a place. It’s a geographic construct: something that exists because mapmakers say it does. Unlike its southern counterpart, which lies deep within the continent of Antarctica, the North Pole isn’t covered by land, just water and ice. The same currents that Norwegian explorer Roald Amundsen hoped to use to float his purpose-built schooner, the Fram, over the North Pole keep the water and ice moving. Sorry if this is a spoiler, but Santa Claus and his elves won’t be there to cheer your arrival. You’ll know you’ve reached the North Pole when your ship’s GPS readout confirms it. Watching numbers on a screen click over to 90 degrees north might seem anticlimactic, but it’s unwise to dismiss the allure of arriving at the absolute top of the world. 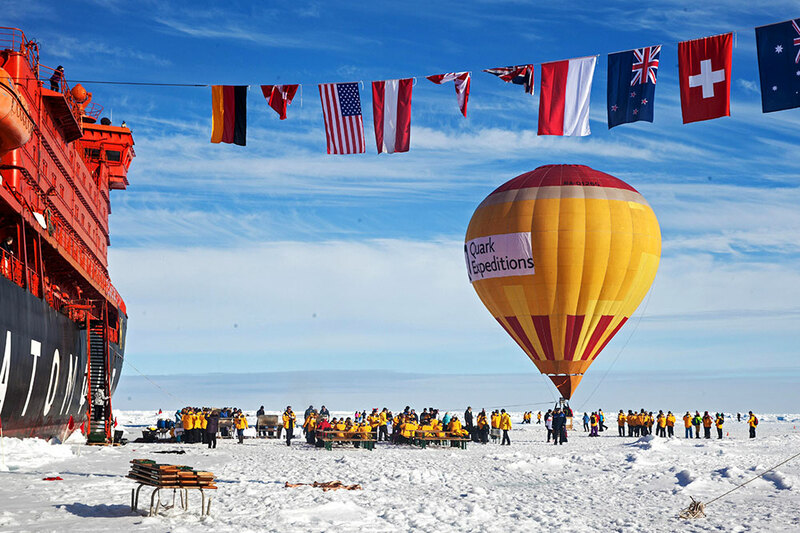 Quark Expeditions knows how to mark the occasion: After the vessel finds a spot with suitably thick ice, guests don cold-weather gear and disembark to savor a Champagne toast, enjoy a barbecue and take unbeatable selfies against the Arctic backdrop. Hardier and thicker-skinned voyagers can risk a dip in the frigid waters or, if the weather cooperates and they’re willing to pay a bit extra for the privilege, they can hover above the North Pole in a hot air balloon. If there’s time on the way back, the icebreaker might stop within the remote Russian archipelago of Franz Josef Land, home to seabird colonies and the detritus of failed Arctic expeditions. Quark Expeditions, which has specialized in this unique itinerary since 1991, offers two voyages per year to the North Pole aboard the Russian nuclear-powered icebreaker called 50 Years of Victory. They take place in June and July, a time of year when the vessel would otherwise idle in dry dock, and begin and end in Helsinki, Finland. The Best Berth: 50 Years of Victory was not built for Quark Expeditions. It’s still a working icebreaker, needed to keep the Russian Arctic coast open so supply ships can move freely. But its 314-square-foot Arktika suites offer comforts that standard accommodations do not. The forward-facing cabins include a double bed and a sofa bed, as well as a tub in the bath — a rare amenity on a ship, as the bathwater can slosh out if the seas are rough and the tub is full. Sailing the Amazon River — essentially a safari on water — makes for a spectacular bucket list trip. Sure, you’ll bring a camera or two, but why not make photography the centerpiece of your vacation? Lindblad Expeditions and National Geographic offer voyages on the Upper Amazon that cater to photographers. The itinerary is similar to their standard Upper Amazon River trips, but with more photo opportunities worked in. While Lindblad and National Geographic offer Upper Amazon trips 10 months out of 12 (April and September are excepted), the best time for photographers to go is high-water season, which spans from December to May. There are four sailings in 2019, two in January and two in March. The itinerary showcases the Peruvian Amazon, with boarding in Iquitos, Peru, and explores the jungles of the Pacaya-Samiria National Reserve, which contains more than 5 million acres. Guests can capture images of parrots, monkeys, sloths, piranhas and pink dolphins, and enjoy at least one night outing. A National Geographic photographer accompanies the voyage, as well as a certified photography instructor. And you don’t have to be a wizard with a lens to book passage either. Even a beginner armed with a humble point-and-shoot is welcome to sign on. 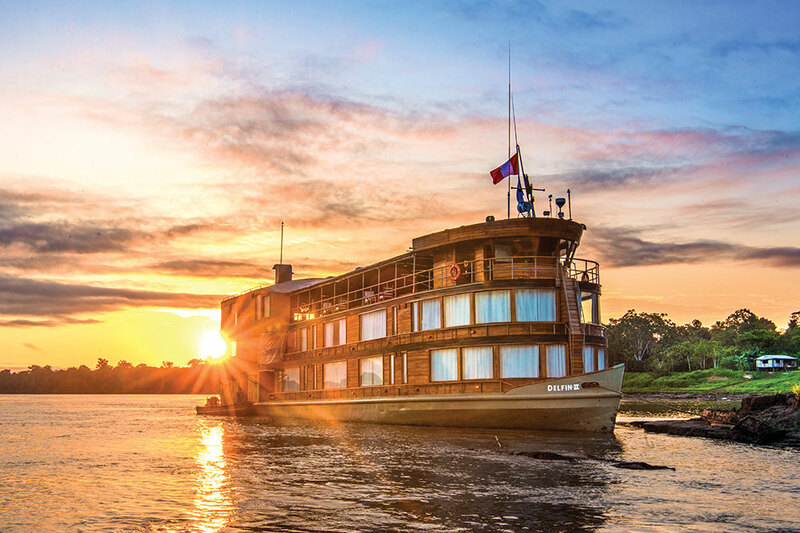 The Best Berth: Lindblad and National Geographic rely on the Delfin II riverboat for the Upper Amazon voyages. Its four master suites, all located at the front of the ship, measure 230 square feet and feature generously large windows, a king-size bed or a pair of twin beds that convert to a king, and walls, floors and ceilings paneled in locally sourced anacapsi wood, also known as golden teak. Aman Voyages, which is part of the Aman group of hotels and resorts, offers a Komodo Island itinerary on two vessels that sail Indonesia’s waters. The 170-foot Amandira can draw power from the sails on its two masts or from its motor. Artisans from the Konjo tribe built the traditional phinisi vessel, which can accommodate 10 guests and 13 crew, including a scuba diving master, a massage therapist and a chef. The motor-powered 105-foot vessel Amanikan can take a maximum of six guests and 10 crew. Both air-conditioned vessels, which can be booked together by the same party, sail the Komodo Expedition itinerary. The five-day sample itinerary includes lounging on the beach, snorkeling, scuba diving the island reefs and seeing Komodo dragons on the islands of Rinca and Komodo. Aman Voyages offers the expedition between March and October, covering the months in mid-to-late spring when Komodo dragon eggs hatch. If Komodo won’t fit your schedule, or you prefer something more dive-centric, consider the Raja Ampat itinerary, which both vessels follow between November and March. More than 1,300 species of fish and hard corals live in the waters where the Pacific and Indian oceans meet, making for exceptional scuba diving. The Best Berth: Amandira’s 159-square-foot master cabin features a king-size bed, a sundeck, a sitting area with a coffee table, desk and sofa, and a large en suite bath with twin vanities and separate toilet. Amanikan’s 199-square-foot master cabin includes a king-size bed, a private sundeck, wraparound windows with 270-degree views and a similar bathroom setup. Both vessels’ master cabins sit at the rear of the ships. Antarctica tops every dedicated traveler’s roster of must-sees. You can’t say you’ve been to all seven continents without setting foot on its rocky, chilly shores. Plus, who doesn’t love penguins? But if you head to Antarctica via a ship leaving South America, you will face an obstacle that no one loves: The Drake Passage. Lying between Cape Horn and the South Shetland Islands, this 500-mile-wide passage promises 36 hours of agony for the motion-sick and isn’t much fun for non-sufferers, either. Hitting 10-foot swells is regarded as a good voyage through the Drake Passage. Hitting 30-foot waves that can potentially wash out a ship’s bridge is, obviously, a bad one. You can avoid the Drake Passage with the Enigma XK. The charters, operated by EYOS Expeditions, deliver true Antarctic luxury in the form of a British Aerospace 146 that ferries you from the South American mainland to the South Shetland Islands, where you board the yacht. EYOS Expeditions CEO Ben Lyons says about 90 percent of Enigma XK clients book the flight. It’s not cheap — as of June 2018, a weekly charter cost about $486,000, including expenses and fees, and the round-trip flight adds up to $250,000 more — but for the motion-sick, it’s worth every penny. The pampering continues aboard the Enigma XK, a 232-foot former fisheries patrol vessel that has been converted into a luxurious expedition yacht. Available for Antarctic sails from November to February, the vessel features six staterooms, a Jacuzzi, a massage room, a small gym and a crew of 21 to serve up to a dozen guests. Standard activities include shore landings, Zodiac cruises, camping on the ice and kayaking. 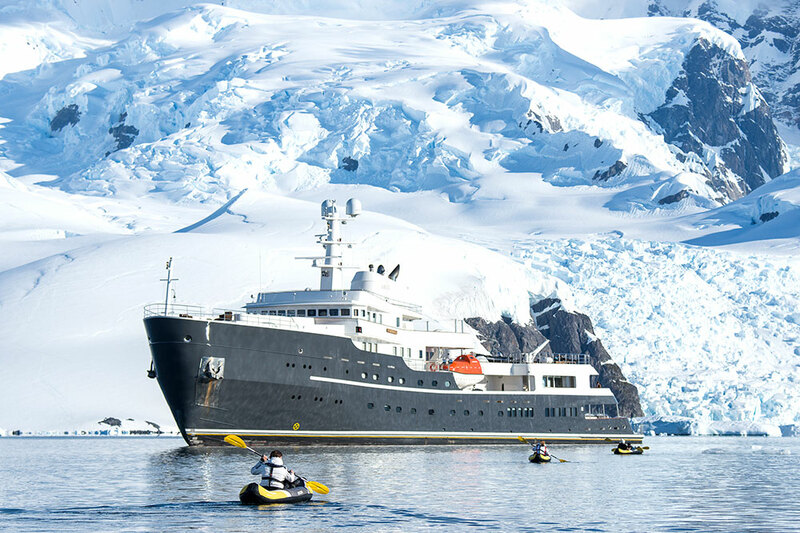 Also, EYOS recently began offering individual cabin bookings on select Antarctic voyages on another of its superyachts, Legend. It added a second mid-January 2019 sailing after the first, which is scheduled for early January and is almost sold out. Per-cabin weekly rates range from $29,000 to $45,549. The Best Berth: The Enigma XK owner’s suite, located on the vessel’s upper deck, measures approximately 650 square feet and includes an office and a lounge as well as a bedroom and a bath with a tub. In 2018, Silversea started offering an itinerary that wound its way through the far-flung islands of Alaska and the Russian Far East. It was a hit; Silversea is wait-listing guests who are interested in its 18-day Russian Far East voyage, scheduled for June 2019, and has scheduled a similar itinerary for July 2020. 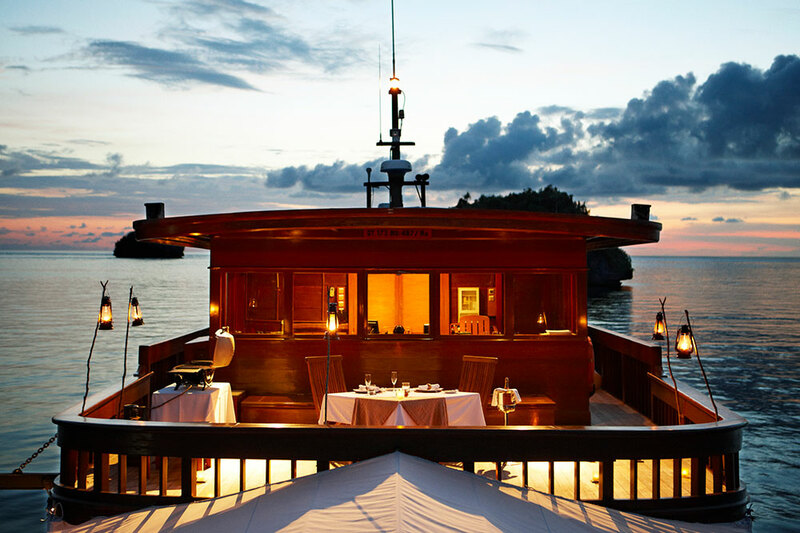 It might be the only trip on this list that touts its white-gloved butler service and its fleet of 12 Zodiac boats. 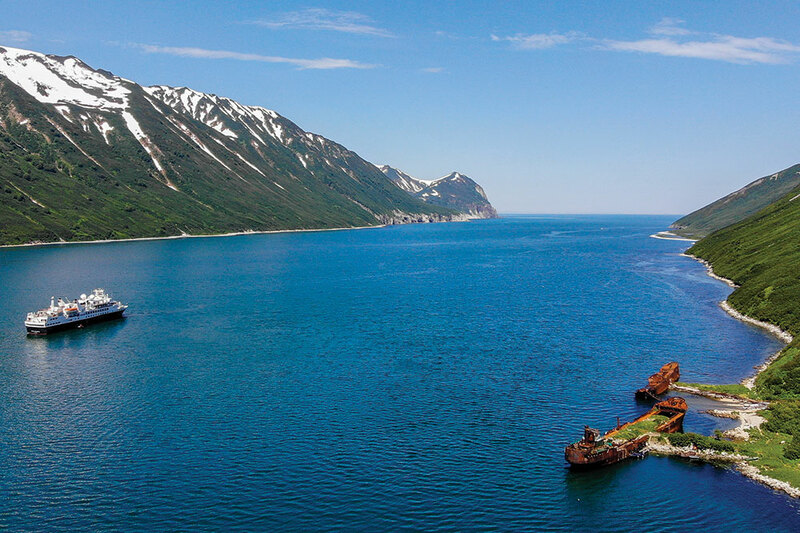 After departing from the Japanese city of Otaru on Hokkaidō, things start with a visit to Korsakov, site of an Ainu fishing village, and a Zodiac cruise around Tyuleniy Island. Thousands of seals and sea lions swarm the island during the June breeding season, filling it with the exuberant sounds of strutting bulls, chirpy pups and their mothers. Stops in Russia’s Kuril archipelago include Yankicha Island, home to arctic foxes and more than 250 species of birds, and Atlasova Island, which once hosted a women’s gulag. Guests may view its remains if they wish. America beckons after the ship crosses the international date line and gains a day. Attu Island now belongs to the peregrine falcons, Lapland longspurs and other birds that nest there, but it’s also the site of the only World War II battle that took place in North America. The Japanese fought an American-Canadian force for two weeks in May 1943 in a loss that cost the Japanese more than 2,300 troops. Guests may explore the main battlefield provided they remain alert and careful — the vintage ordnance could be live. Kiska Harbor, a subsequent stop in the Aleutian Islands, testifies to a WWII-era Japanese occupation of 6,000 soldiers who left behind a small abandoned submarine and a Shinto shrine. Unga, another Aleutian island, features a ghost town and a forest of petrified wood. The latter is the trickier of the two to visit; it can only be approached at low tide or else the forest will be underwater. The Best Berth: Both of the owner’s suites, located on Deck 7, measure a generous 728 square feet, including the furnished balcony. The bedroom can have a queen-size bed or a pair of twin beds, and the marble-decorated bath has a tub and separate shower. It also features a walk-in closet, an espresso machine, a writing desk and a living room with sitting area. The owner’s suite is designed to accommodate three. The Galápagos Islands are wonderfully weird. Penguins mingle with parrotfish. Blue-footed birds dance, nest and fly. Giant tortoises roam. Lizards swim. The landscapes range from lush greenery to island beaches to rocky, barren vistas that resemble the surface of the moon, or Mars. And the beaks of the islands’ finches planted an idea in the mind of a young Englishman that was so explosive and world-changing that he waited until he was 50 to publish it. 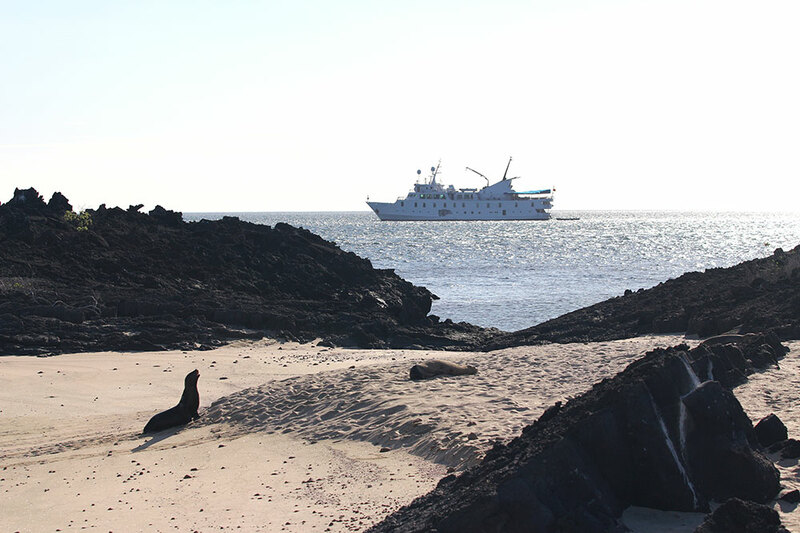 UnCruise Adventures offers seven-night voyages to the Galápagos out of Guayaquil, Ecuador. The company schedules them from April to August and also in October, the times of year with the greatest chance of seeing the broadest selection of wildlife. Like the penguins of Antarctica and other creatures that live in the world’s remotest areas, the birds and beasts of the Galápagos show no fear of humans. Blue-footed boobies will launch into their high-stepping, neck-craning mating dance unbothered by the presence of a non-avian audience. Sea lion bulls will bum-rush challengers and will flatten anyone who gets in their way, dopey camera-toting humans included. The La Pinta can accommodate up to 48 passengers, sending them to shore in Zodiac boats. Highlights include stops at Santa Cruz island, home to several species of the finches that sparked the imagination of Charles Darwin as well as the scientific research center that bears his name. Lonesome George, the center’s most famous resident, died in 2012 at the age of 100 or so, but it continues to host tortoises at its breeding center. The final day of the voyage features a ride in glass-bottomed boats, letting guests see colorful fish, sharks, coral and sometimes a curious, attention-seeking sea lion. The Best Berth: The four Admiral suites, located at the rear of the La Pinta, each measure 248 square feet and feature queen-size or twin beds, a private bath with shower, a desk with chair, and a sitting area with a fold-out couch. If you scuba dive, you have to experience the Great Barrier Reef at least once. Located off the coast of northeast Australia, the UNESCO World Heritage site encompasses almost 3,000 coral reefs that sprawl across 135,000 square miles of ocean. 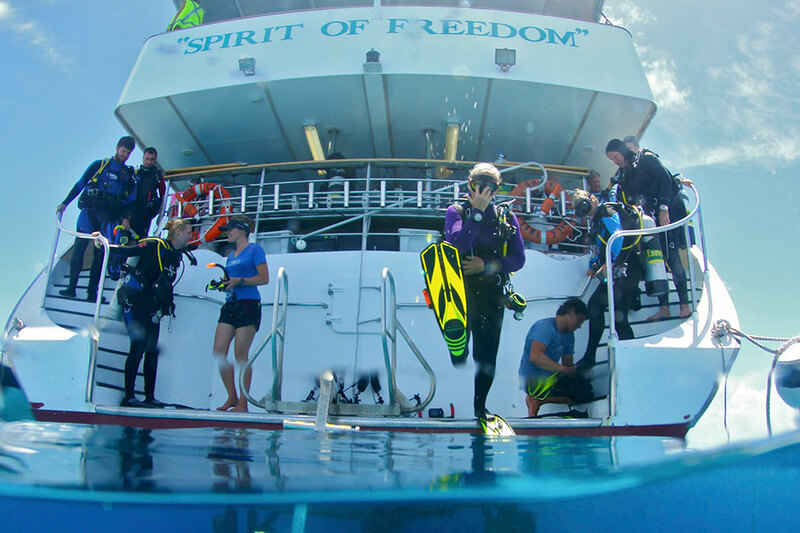 The Spirit of Freedom can carry as many as 26 guests on dive trips that leave and return to Cairns, Australia, every month except May, when the vessel enters dry dock. Its seven-day itinerary takes in the long, slim Ribbon Reefs, including a stop at Cod Hole to visit the surprisingly large and docile potato cod that live there. The itinerary, which is best for advanced scuba divers, also devotes two days to Osprey Reef in the Coral Sea, a favorite spot of grey reef sharks and the site of a coral-covered wall that stretches from the surface to more than 3,000 feet below the waves. In June and July, during Australia’s winter, dwarf minke whales visit the Ribbon Reefs on their migration route from Antarctica to warmer waters. During those months the Spirit of Freedom hosts a minke whale researcher on board, and divers and snorkelers are allowed to swim with the whales. Another peak time to book a dive trip on the Spirit of Freedom is October to January, a span that includes voyages to a far-flung region of the Great Barrier Reef that lies between Lizard Island and Australia. The proof of its remoteness is in the behavior of the marine life, which displays the indifference of creatures that have not become accustomed to the presence of people. The remote trips, planned for October and November, take place when green sea turtles return to their home coral cays to breed. The Spirit of Freedom’s dive leaders hold certificates from PADI (Professional Association of Diving Instructors). Divers who book the ship are required to have specific certifications and a minimum number of ocean dives, dependent on which dives they are interested in. The Spirit of Freedom will rent scuba gear to those who need it and provides scuba diving courses on board for additional fees. The Best Berth: The Spirit of Freedom’s stateroom measures 128.2 square feet and contains a queen-size bed and bath with shower.